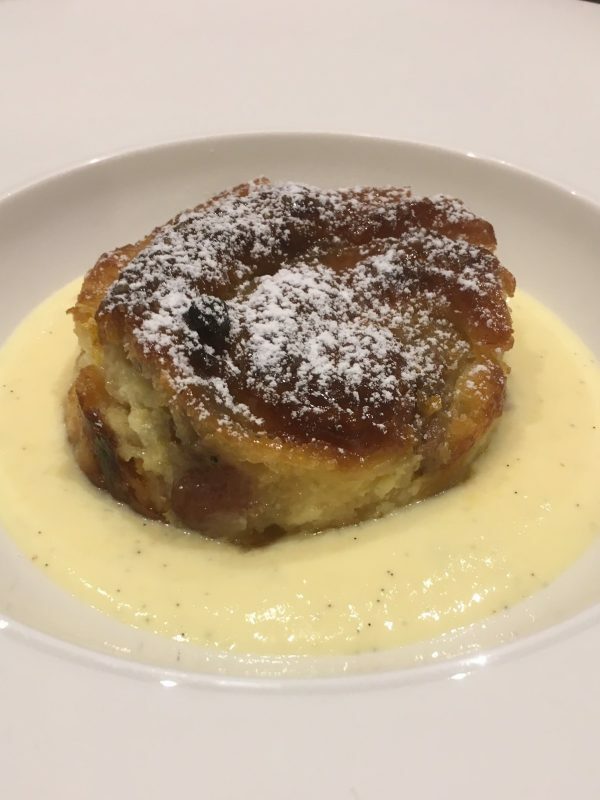 The most British of puds gets La Villa’s French make over ! Butter the sides of a rectangular ovenproof dish & spread 2 tablespoons of the jam on the base. Butter both sides of the pain au raisins and line the dish, overlapping each one. (if using the sliced bread, butter both sides, cut into quarters and lay in the same way & then sprinkle the raisins on top, pressing them into the buttery bread). Beat the eggs & sugar in an electric mixer until light & fluffy. Add the cream/milk, orange zest and, if using, the orange liqueur. Pour over the pain au raisins, pressing down on them so they are completely submerged – allow to sit for 20 mins..
Heat your oven to 180 degrees. Pop the kettle on and place your ovenproof dish into a larger roasting tin. Sprinkle the demerara sugar over the top of the pain au raisins, pour the boiling water carefully into the roasting dish so that it comes 1/2 way up the sides of your ovenproof dish. Bake for 45 mins. Remove from the oven and then remove the ovenproof dish from the water bath and place on a cooling rack. 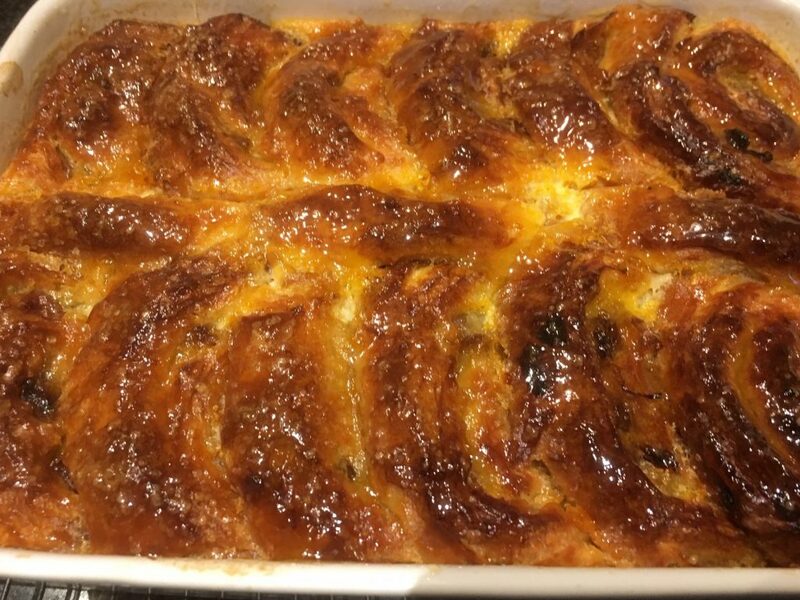 Place the remaining 2 tablespoons of jam in a small saucepan and add a tablespoon of cold water, stir until combined and bring to the boil – remove from the heat and brush over the top of the bread & butter pudding. Serve immediately or, as we do, cut out individual portions using a chef’s ring and you can place on a silicon lined baking sheet to re-heat later. Works perfectly with freshly made vanilla custard.